With Armageddon approaching, WBC has trained its sights on a new target: The Jews. Though the gay-bashing and funeral-crashing continue apace, the church is now on a mission to call forth the 144,000 Jews who will be saved, according to the Book of Revelation, when their Christ-rejecting brethren perish in the rapture. (“Some Jews Will Repent,” says one of the group’s more optimistic signs.) 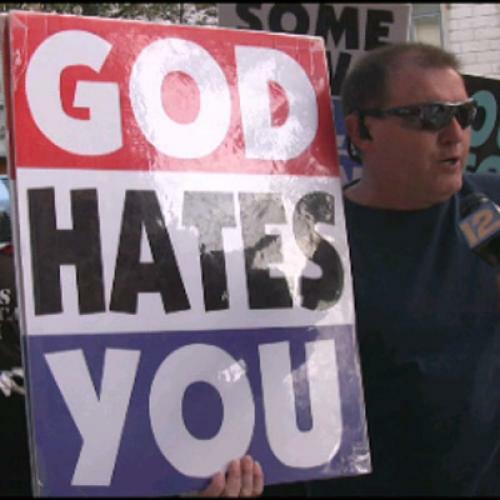 Recently, the hunt for these “elect Jews” sent a WBC contingent on a whirlwind tour of New York, where members picketed synagogues and other Jewish sites in Manhattan, Brooklyn, Queens, and Long Island’s Great Neck (or “Great Stiffened Neck,” as WBC calls it), throwing in stops at “fag-infested” high schools for good measure. Benjamin Birnbaum is a reporter-researcher at The New Republic. Ben Eisler, formerly a video reporter-producer at The New Republic, recently joined WJLA/News Channel 8 as an on-air reporter.